Monday 10th August 1914 (Bedford) - In the few days since war broke out Bedford has been full of bustle and excitement. The Territorial soldiers of the 5th Bedfordshire Regiment have been billeted at the Goldington Road schools since Wednesday, except for those men who live in Bedford who have been allowed to stay at home. Today two Germans were captured at Clapham. At first rumour had it that they were spies but it seems this was not the case. When the Borough police were told Germans had been spotted Police Sergeant Wheatley was sent on a bicycle to look for them. 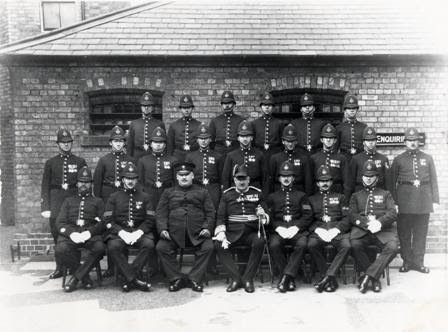 By the time he caught up with the men they were outside the Borough limits so he fetched the Clapham constable, PC Jefferies. They stopped the two young Germans and took them to the police station at Gadsby Street. It appears the men had been in Liverpool working as a waiter and a barman. They had travelled to London to try to get a boat home, but when they were unable to do so they decided to return to Liverpool. Superintendent Anniwell spoke to the military authorities and the men were taken to the barracks as prisoners of war.